I've been trying to learn more about Holley's new line of econo-carbs, Brawler. As I understand, these Brawler carbs are an earlier Holley design using an off-shore (China?) cast body and other parts. By using an earlier design, means this Holley carb is not a brand new carb, but a cheaper version of an older carb. However, from what I read, folks that use them are liking them. So, my question is would my fellow FSJeepers recommend them? Would a 600cfm model work well on an AMC 360? Wonder if over time, it would continue to work well? ...meaning, would hold up like its full priced cousins? Is it worth the extra coupe hundred dollars for a current Holley Carb, like a Truck Avenger? As always, your comments, suggestions, recommendations, opinions and flames are welcome. Brawler carburetors are precision machined and hand-assembled by craftsman right here in the USA. The Brawler family of carburetors include models for your daily driver to your race car. These carburetors work hard just as their name implies- just raw bare knuckled performance that you can rely on. Don’t let the budget-friendly price fool you, the Brawler development focused on the performance you want and not the pretty box that it comes in. Brawlers come with the latest technology in air/fuel calibrations for today’s street or race engine demands. The Brawler family of carburetors are all made from light-weight aluminum components and are available in both vacuum and mechanical secondary models. They offer all the tunability that you would find from more expensive carburetors in the market, including four-corner idle adjustment on all models. There's only one issue I'm concerned with and can't find an answer to in my quick search just now. The parts catalog specifies between "brawler" and "Quickfuel" parts, so I'm thinking the brawler is proprietary (parts don't interchange). With this is mind, it could be a challenge to get the brawler optimized for bouncy and off-camber driving, if that's in your expectations. I couldn't find any options for float style or spring loaded needles, or really anything other than jets and kick-down linkages. Past that, it looks to be a quality piece of Made In USA hardware. They are cast over seas (from recycled aluminum cans most likely), then machined and assembled in USA. I would not call that Made in USA. - I have heard good things about them though also. Don't know about the Brawler, but the conventional Holleys have a lot of issues on the trail. There is a plenty about this here and on other forums if you search. JMO - there is so much information online and so many different products, you may as well go EFI. The price of a new carburetor will get you half-way there. Someone like Bill Hamilton will put together a custom system for you - very little development work needed on your part. Or choose one of the packaged "self-tuning" EFI setups. REDONE wrote: With this is mind, it could be a challenge to get the brawler optimized for bouncy and off-camber driving, if that's in your expectations. No, that is not my goal today. I want to get my truck running and drivable. ...just a simple goal of on dry payment of moving under its own power. If a carb was the only issue, then I would step up to the Truck Avenger and call it done. However, I have a lots of nickel and dime items that is holding me up. 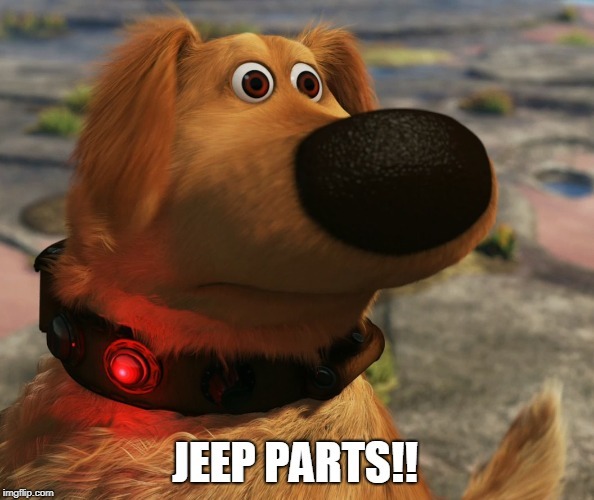 For me fantasy upgrades like a nice offroad carb or EFI, lift springs/shocks, winch/bumper, etc...will happen, later. I need to get it running and move on to other projects. Trust me, dirt will happen, as maybe someday coming to Ouray for an Invasion Event. I would like to make it girly enough to participate in the Hot Rod Power Tour. tgreese wrote: Don't know about the Brawler, but the conventional Holleys have a lot of issues on the trail. There is a plenty about this here and on other forums if you search. I thought about EFI and looked hard at Holley's Sniper EFI system. $1000+ is a little bit out of my budget for now. I also have parts and pieces from GM TBI trucks to maybe go with a MegaSquirt system or complete it with parts from "International Harvester BIll". Nothing wrong with the 21xx and 2V manifold. Get'er done!